Soldiers from Indiana, Kentucky and Texas all converged on Camp Dodge in March of this year to support the Iowa Army National Guard’s 1034th Combat Sustainment Support Battalion (CSSB) during its pre-mobilization Mission Training Exercise (MTX). Normally, units conduct these exercises after mobilizing. However, thanks to extensive collaboration between the 1034th CSSB leadership and the leadership of supporting units, Soldiers of the 1034th were able to receive this valuable training while still in their home state. The exercise was Iowa’s first home station MTX. Among its pluses were reductions in cost for the State and a reduction in the amount of time Soldiers spent away from their Families before deployment. 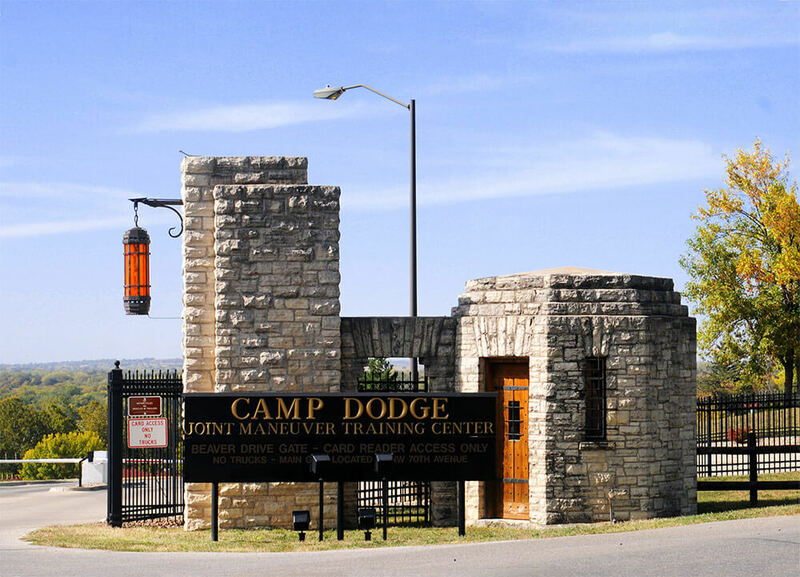 SFC Rusty Cabossart, 1034th CSSB’s acting first sergeant, said the idea to host the MTX at Camp Dodge started as a casual suggestion. “It came up in conversation, and we made it happen,” he said. The exercise helped prepare the 1034th for its upcoming deployment by providing rigorous and relevant training for a role that would be somewhat unconventional for the unit. LTC Christine Brooks, 1034th CSSB commander, said her main objective for the MTX was to prepare the unit to manage contractors on deployment. While civilian contractors often augment U.S. military personnel in overseas operations, the management of those contractors is a nontraditional role for a combat sustainment support battalion (CSSB). As a requirement for mobilization, the 1034th CSSB needed this training to be validated by external evaluators. 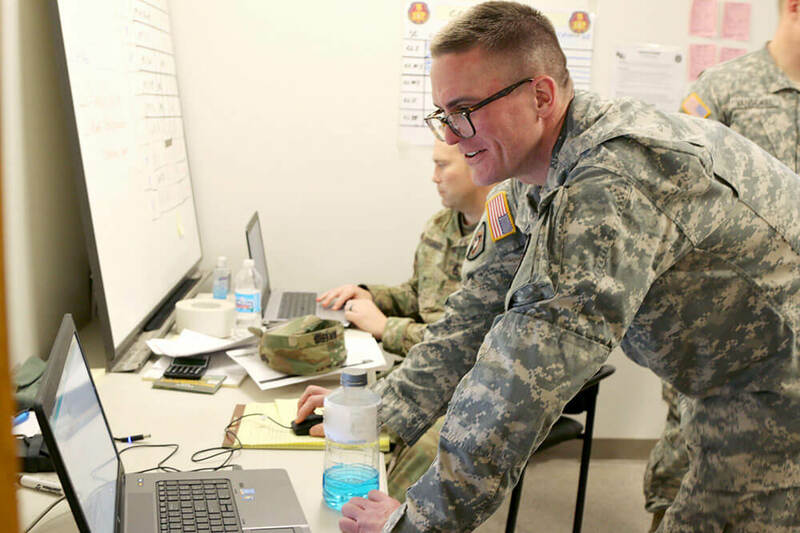 MAJ Benjamin Glasgall, the exercise’s project officer and scenario manager with the 2-393rd Brigade Sustainment Battalion, 120th Infantry Brigade, 1st Army Division West, managed scenario simulation and information flow during the MTX. MAJ Glasgall said the success of the training was largely due to communication between the units before the exercise. LTC Brooks said the home station training allowed the 1034th CSSB to save on travel costs, complete the training within its two-week annual training period and reduce the amount of time needed at a mobilization site. SFC Cabossart said units may spend more than a month at Fort Hood, Texas, to complete training. Bringing the MTX to Camp Dodge enabled the 1034th CSSB to cut that timeline to two weeks. “That’s a significant amount of time these people can spend with their families versus spending it at Fort Hood,” SFC Cabossart noted. The 1034th CSSB conducted the MTX in conjunction with the 101st Airborne Division Sustainment Brigade, 101st Airborne Division, which is serving as the 1034th’s higher headquarters during the mobilization. “Getting the relationship with the 101st started before we even get over into theater is huge,” LTC Brooks said. 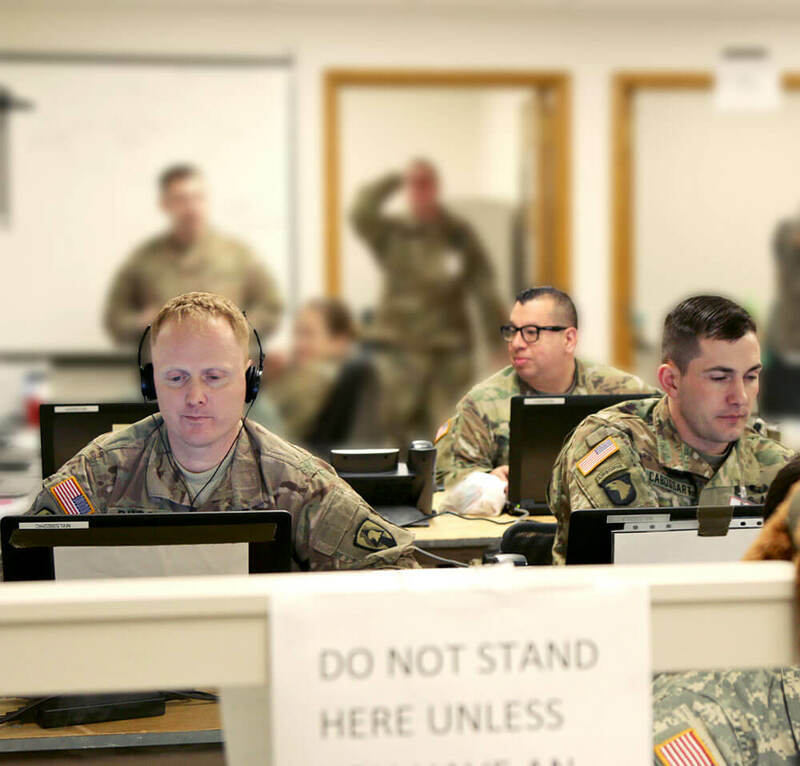 CPT Andrew Paulin, a section planner in the Support Operations section of the 101st Airborne Division Sustainment Brigade, said the brigade’s main objective was to validate the 1034th CSSB’s systems and reporting processes. The “large piece of the puzzle” Paulin referred to is the Security Force Assistance Brigade (SFAB), an organization the 1034th CSSB will support during deployment. Since SFABs are a fairly new addition to Army force structure, proper integration is crucial. The MTX was set up in a small brick building with rooms separating personnel to simulate distance training. SSG Nathan Moore, a water treatment specialist with the 1034th CSSB’s support operations section, said the training environment differed from that to which the unit is accustomed. The separated mission structure posed some challenges. After overcoming these initial challenges, he said the exercise went smoothly. The 1034th CSSB was able to build tools, locate resources and identify areas in which it could improve. 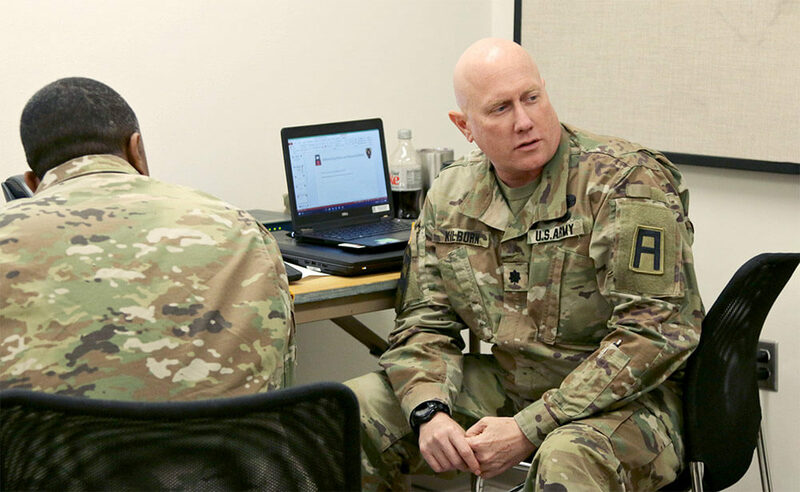 LTC Ross Kilburn, 290th Brigade Support Battalion (BSB) commander from Camp Atterbury, Indiana, said he could tell that LTC Brooks and the rest of the 1034th CSSB command team have built a learning organization. During the training, LTC Kilburn and his team acted as evaluators, prompting the Soldiers of the 1034th with scenarios and then assessing their performance. CPT Matthew Berry, a plans officer with the 1034th CSSB, noted the gratitude of the unit’s members for the knowledge offered by the 290th BSB, and the exercise’s other supporting units, as this sharing of expertise will only serve to make the 1034th a stronger and better equipped unit once in theater. MG Timothy Orr, the adjutant general of the Iowa National Guard, was pleased with the exercise’s results, according to LTC Kilburn. MG Orr hopes to hold more pre-mobilization training in the State. LTC Brooks said the exercise was successful in preparing the unit to better work with civilian contractors overseas. SSG Moore, who deployed with the 1034th CSSB in 2012, attested to the benefits the proactive and focused nature of the training would bring to Soldiers. “This exercise really focused more on the actual mission and directly preparing for it,” he said. 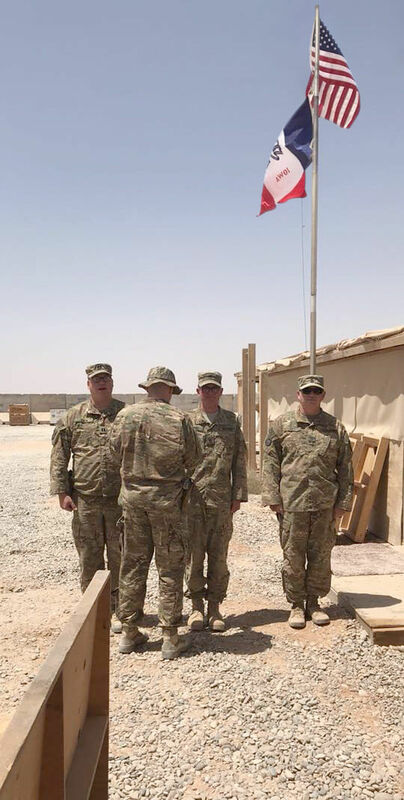 Since its previous deployments – in support of Operation Iraqi Freedom in 2006 and 2007 and Operation Enduring Freedom in 2012 and 2013 – the 1034th CSSB has changed its command team and mission, SSG Moore said. The unit has worked to identify individual skill sets and build a team mentality. MAJ Glasgall said he believes that team mentality will pay dividends during the deployment. On June 23, about 40 Soldiers from the 1034th CSSB were honored at Camp Dodge before deployment. The unit then traveled to its mobilization station in Fort Hood, Texas, for additional training before its assignment overseas in the U.S. Central Command (CENTCOM) theater of operations.